nwmcparts has no other items for sale. 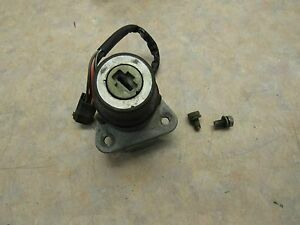 1980 YAMAHA DT 175 G OEM. IGNITION SWITCH /FASTENERS / NO KEY . 1980 DT125G ELECTRICAL 1. 1980 DT175G ELECTRICAL 1. This Yamaha 5R2-82501-01-00 MAIN SWCH STRGLCK is used on these models and components.